Although the Federal Government of Nigeria banned the importation of foreign rice into the country, there is a new route of importing foreign rice into the country through the Okada riders, reports NaijaAgroNet. 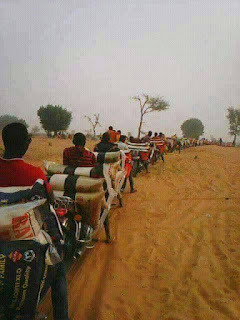 This route, source making rounds online showed are heavily protected with over 100 motorcycle riders, also known as okada riders carrying across from Niger Republic some bags of rice. Some Nigeria have equally condemned the opening of the northern borders for rice importation with motorcycle, while in the south, especially via Lagos border with Contonou, Benin Republic borders are closed. “Now they opened Niger Republic border and have been importing Rice from the Northern borders and have it repackaged,” source said. Other concerned Nigerian also disclosed that the long queue of Motorcyclists transporting Rice to Kastina State, its evident that in a day, some six Trailer loads are being offloaded every day. “One Nigeria. With two different laws. 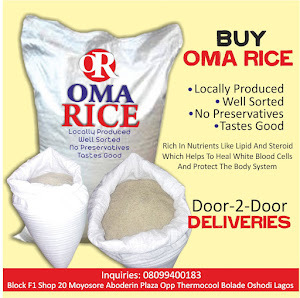 Rice importation is banned in the south and free duty in the north,” our source decried. “It was easy to enter from Katsina but here in the South you see Customs Officers raiding shops and killing innocent people all in the name of attacking smugglers. This is unfair,” our source lamented. Pix: Okada riders allegedly transporting foreign rice from Niger Republic to Katsina State in Nigeria.